The 51-10C9 monoclonal antibody specifically binds to CD106. CD106 is a 100-110 kDa type I transmembrane sialoglycoprotrein that is also known as Vascular cell adhesion molecule-1 (VCAM-1) and INCAM-110. CD106 is expressed at high levels on the surface of cytokine-stimulated endothelium, and at minimal levels on unstimulated endothelium. VCAM-1 serves as a ligand for the leukocyte integrins α4β1 (CD49d/CD29 complex; VLA-4) and α4β7 (LPAM-1). The 51-10C9 monoclonal antibody inhibits the in vitro binding of lymphocytes and monocytes to VCAM-1 on stimulated endothelium. The antibody was conjugated to BD Horizon™ BV510 which is part of the BD Horizon Brilliant™ Violet family of dyes. With an Ex Max of 405-nm and Em Max at 510-nm, BD Horizon BV510 can be excited by the violet laser and detected in the BD Horizon V500 (525/50-nm) filter set. BD Horizon BV510 conjugates are useful for the detection of dim markers off the violet laser. BV510 is a polymer-based dye that is brighter than BD Horizon V500. Due to similar excitation and emission properties, BD Horizon BV510 and BD Horizon V500 cannot be used simultaneously. Store undiluted at 4°C and protected from prolonged exposure to light. Do not freeze. The monoclonal antibody was purified from tissue culture supernatant or ascites by affinity chromatography. The antibody was conjugated with BD Horizon BV510 under optimal conditions that minimize unconjugated dye and antibody. 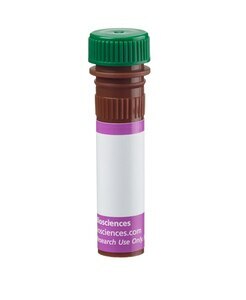 This antibody was developed for use in flow cytometry. The production process underwent stringent testing and validation to assure that it generates a high-quality conjugate with consistent performance and specific binding activity. However, verification testing has not been performed on all conjugate lots. Researchers should determine the optimal concentration of this reagent for their individual applications. Please refer to www.bdbiosciences.com/us/s/resources for technical protocols. BD Horizon Brilliant Stain Buffer is covered by one or more of the following US patents: 8,110,673; 8,158,444; 8,575,303; 8,354,239. BD Horizon Brilliant Violet 510 is covered by one or more of the following US patents: 8,575,303; 8,354,239. For optimal and reproducible results, BD Horizon Brilliant Stain Buffer should be used anytime two or more BD Horizon Brilliant dyes (including BD OptiBuild Brilliant reagents) are used in the same experiment. Fluorescent dye interactions may cause staining artifacts which may affect data interpretation. The BD Horizon Brilliant Stain Buffer was designed to minimize these interactions. More information can be found in the Technical Data Sheet of the BD Horizon Brilliant Stain Buffer (Cat. No. 563794). Schlossman SF. Stuart F. Schlossman .. et al., ed. Leucocyte typing V : white cell differentiation antigens : proceedings of the fifth international workshop and conference held in Boston, USA, 3-7 November, 1993. Oxford: Oxford University Press; 1995; .